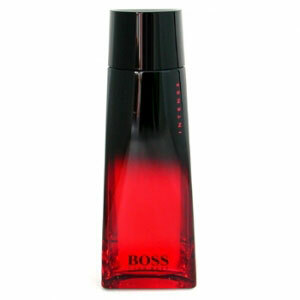 Boss Intense is a warm and sensual fragrance created for women with initiative; sheâ€™s in control being strong and feminine at the same time. Vanilla Orchidâ€™s heart note accentuate the warmth and depth of notes in its base; amber and musk. The opening is fresh and transparent with a dash of spice; oxygen accord, kumquat, spices. Heart note is composed of sweet vanilla, jasmine and rose. Base note is warm and sensual leaving a trace of sandalwood, patchouli, musk, amber notes and benzoin resin. This perfume is created by Ursula Wandel in 2003.